1. 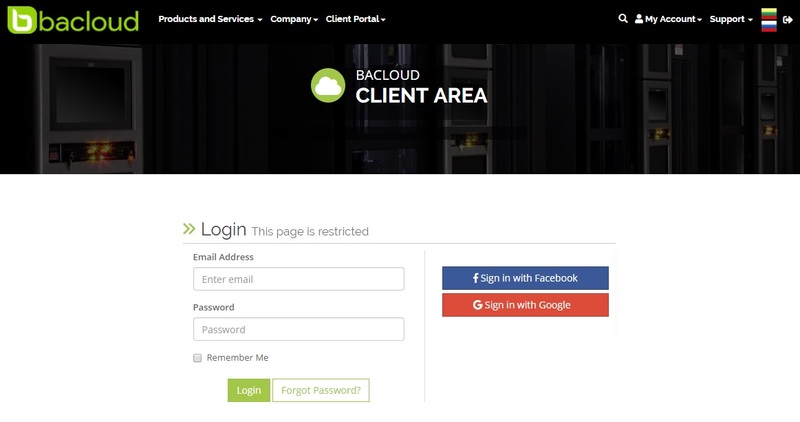 Login to Bacloud client area. Input the bacloud.com in the browser address bar, and press Enter. Once the website home page will be loaded, click on My Account drop down section in the top right corner and press Login. Sign in with Facebook or Sign in with Google account. 2. Accessing DNS Management Panel. After successfully login, you will see bacloud cient area window. Click on Services drop down menu on the top of page and select Manage DNS. 3. Set up PTR Records. From opened DNS Management window, click on PTR records tab. You will get list of all IP addresses assigned to your services. To add/change record simply click EDIT button next to the IP address, enter PTR record name in the Record Ptrdname box and click Update Record. We also provide ability to import PTR records from a file. This addon provides easier management of large IP pools. For that you will need to prepare template. Otherwise import will fail. Simply click on Select file, choose prepared template file and click Import Records.